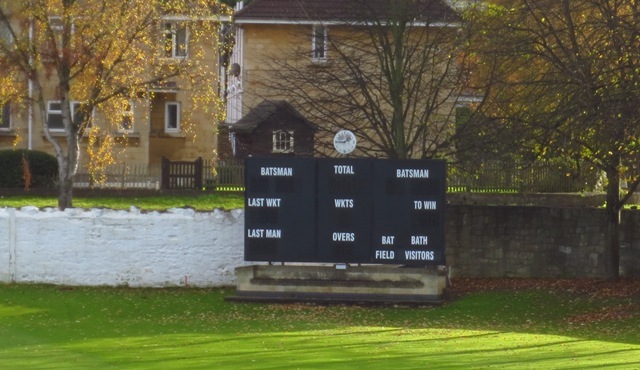 The autumn leaves have fallen and the electronic scoreboard numbers will not glow til next summer. 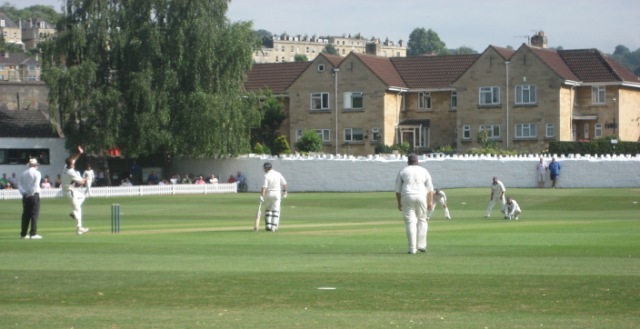 You can just see the Bath scoreboard in action in this photo taken two summers ago. 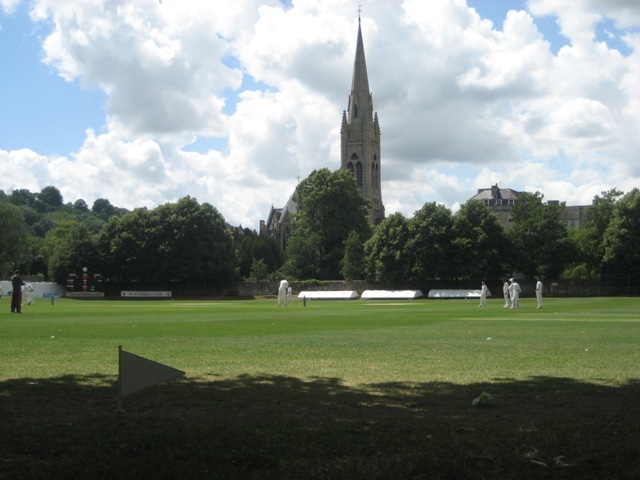 Bath Cricket Club was founded in 1859. It has 700 members including about 110 senior players and 230 young cricketers. Its facilities include ‘a fifteen-pitch square, together with two non-turf and 14 grass practice pitches, an LED scoreboard, with a score-box in the John Ruddick Pavilion and a fine pavilion’. Jesse Maskell and Victor Fisher are Scoreboard Pressure’s UK correspondents.